A. Definition: Spontaneous loss of information over time. 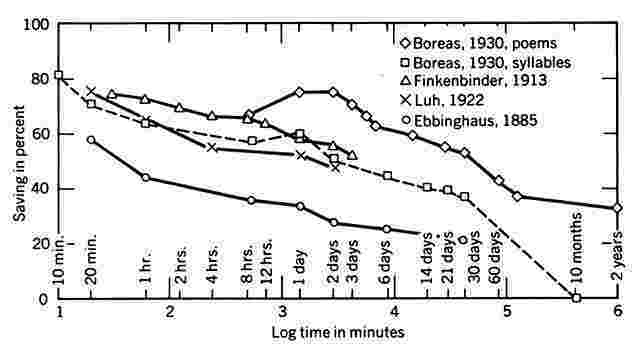 Classic Shape of the forgetting curve (Woodworth, 1938). Is this evidence for logarithmic decay? 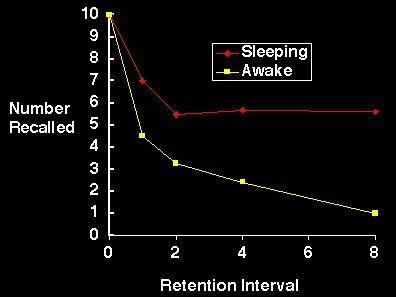 During the retention interval they either were awake doing daily activities, or they slept. 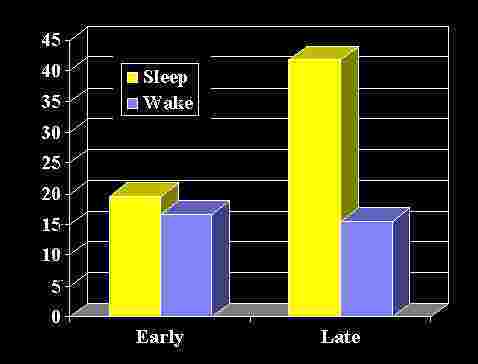 If decay is the primacy source of forgetting, then the rates of forgetting should be similar in the awake and the sleep conditions. Studied retention of names and faces of high school classmates. Both studies showed stable memories lasting close to 50 years. 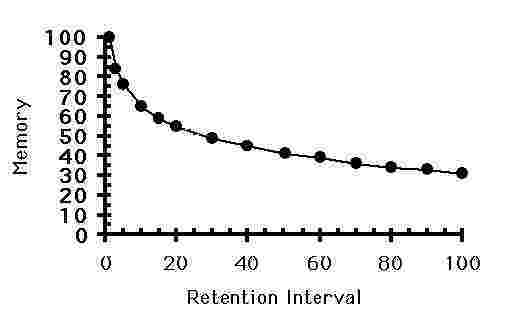 1) Shape of the forgetting curve is greatly influenced by the activities during the retention interval. 2) The logarithmic function does not hold for autobiographical memories. 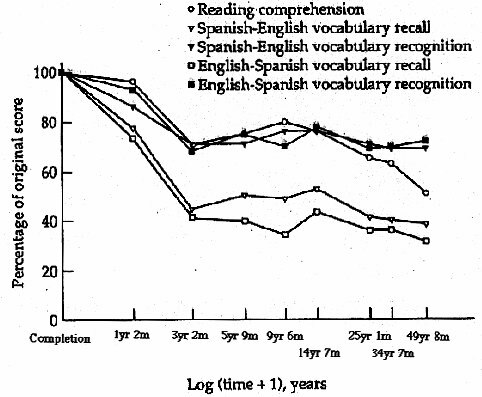 3) Therefore, there is little evidence that decay is the primary cause of loss of information from long-term memory. As a result of experience, certain neural activities responsible for permanent memories are set into motion. Disruption of these activities leads to poorly formed memories, and thus, forgetting. Does not explain the role of the “content” of the experiences during a retention interval. 1. Forgetting is caused by interference between information being tested and other information that has been learned. 2. 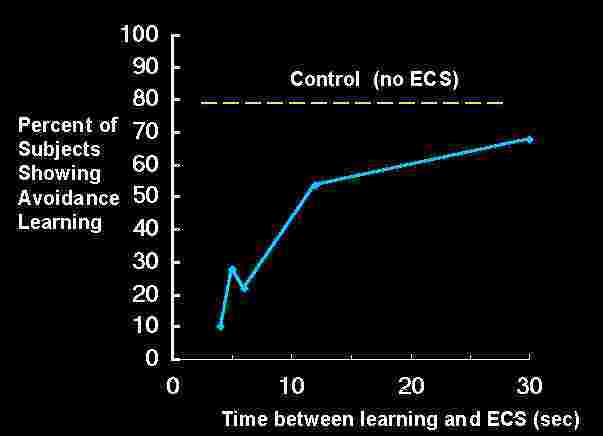 Analysis of learning in terms of associations between stimulus and response terms. 3. a) Interference occurs when the same stimulus is associated with more than one response. b) or, when similar stimuli (S and S') are associated with different responses. 1. According to Interference Theory, Proactive Interference (PI) is the result of response competition. However, PI continues even when response competition is removed. 2. Interference theory did not satisfactorily explain retrieval failures. Forgetting is caused by the inability to access information that is represented in memory. accessibility: the information that is available can be retrieved at a specific time/place. Specific encoding operations determine the type of memory trace stored in memory. 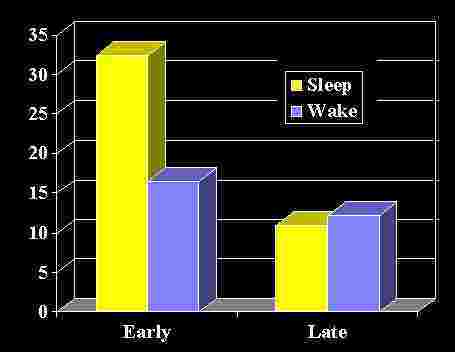 The type of memory trace determines what retrieval cues will be successful at gaining access to the memory trace. E. Encoding Specificity vs. Generate Edit theories of retrieval. 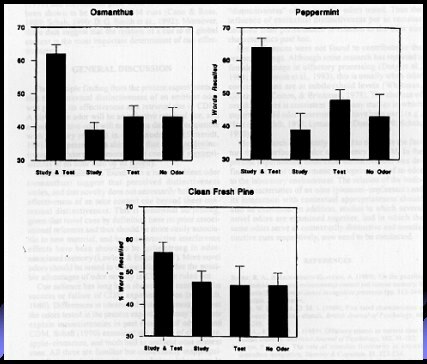 Distinctiveness of the odor is important. How could this theory be proved wrong? 1) conscious process of burying memories to protect the ego. 2) the emotions associated with the repressed memory may be recovered, or express themselves. 3) such expression is metaphorical. 1) conscious and unconscious process of forgetting traumatic experiences. 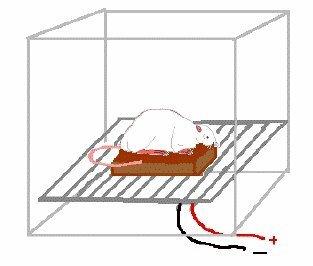 2) repressed memories can be recovered through therapy and/or hypnosis. 3) recovered memories are taken as literal and accurate memories of the actual experience. That is, memory goes from 0 to 100%! 2) The unlikely combination predicted contradicts research concerning the impact of arousal on memory. 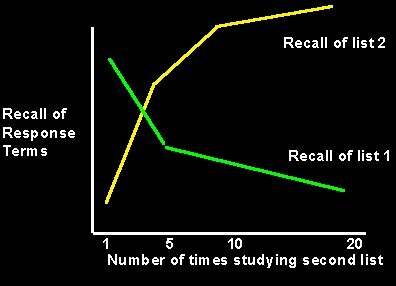 b) When arousal leads to forgetting, the memories are poorly integrated, lack details, and may be little more than a record of the emotional response to the trauma (e.g., Metcalfís, 1998, work on hot/cold cognition). Conditions that lead to repression will lead to poor memory! 3) Existence of repression accepted as a mater of faith, incapable of disproof. "When someone asks you, "Where you sexually abused as a child?" there are only two answers: One of them is "yes," and one of them is "I don't know." You can't say "no." - Rosanne Arnold, on "Oprah"
b) from profoundly disturbed individuals who have difficulty distinguishing between reality and fantasy, and between the remembered and the imagined. Three ways in which memory failures are “mistaken” as repression. 1) Retrieval failures: misunderstood experiences (e.g. child sexual abuse) are often poorly remembered. 2) Distorted views of one’s own memory. Memory for a period of forgetting. 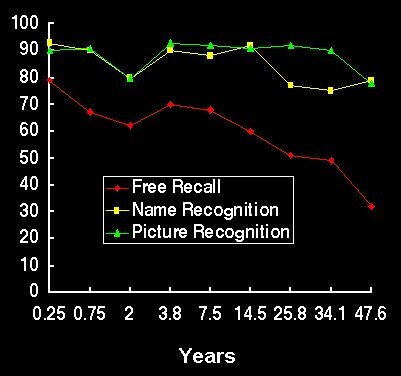 Suggestive recovery techniques lead one to create a false memory. These “memories” may help one to understand their anxiety, and for this reason are found to be quite compelling. retrieval failure: richest, most complete explanation, but may be circular.